Cherry blossom tattoos and their meanings have several different associations.it is a celebrated ritual in Japan is cherry blossom week, when the fast life – cycle of the cherry – tree blossoms comes to symbolize our life in all its fragility, serving as a reminder to make the best of our time on earth. Perhaps unfairly cherry blossoms motifs are often used as backdrop decoration for larger pieces featuring other main symbols such as geishas which are considered a feminine geishas, which are considered a feminine motif. Japanese cherry blossom holds a different meaning to its Chinese counterpart which is intended as symbol of the powerful feminine, rather than transience of life. Many people render the soft pink flowers as an ode to spring and hearken their arrival at festivals throughout the country, other cultures such as the Japanese believe cherry blossoms represent beauty and the fragility of life. For an inked design that is filled with spirit and beauty, a cherry blossom tattoo makes a novel choice for anyone experiencing a serious bout of spring fever. Take a look at the many ways a cherry blossom signifies beauty and life and bloom with your own inspiration. Inspired by centuries old wood blocking techniques, the Japanese refer to sakura (cherry blossoms) as a symbol of life. After their too-short bloom, the cherry blossom falls to the ground and is scattered about by wind and rain. It is in this life cycle that their blossoms become truly anticipated and appreciated for all their beauty. 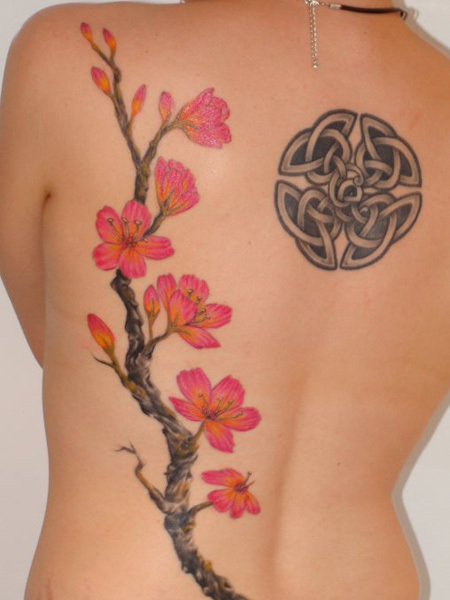 Whether you choose a Japanese cherry blossom to celebrate life after illness or to honor a lost love, the intricate tree design makes a beautiful choice for a full canvas tattoo and is often selected as a back piece or worked into smaller shoulder or leg tattoo designs. With a popping array of bold pink color and delicate, paper-like leaves, a Japanese cherry blossom tattoo is both a feminine and fleeting reminder to live a life of beauty and be present in the moment for that is all we have. 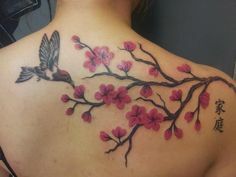 Consider adding a Chinese cherry blossom to an existing Chinese symbol tattoo to compliment both cultural pieces. For a Chinese cherry blossom, opt for forearm, bicep or side placement as there will be plenty of canvas there to create the branching and cascading effect. To create a fantastical-inspired nature scene such as the tattoo depicted at the left, consider adding birds, butterflies, insects, water and other elements to your design. 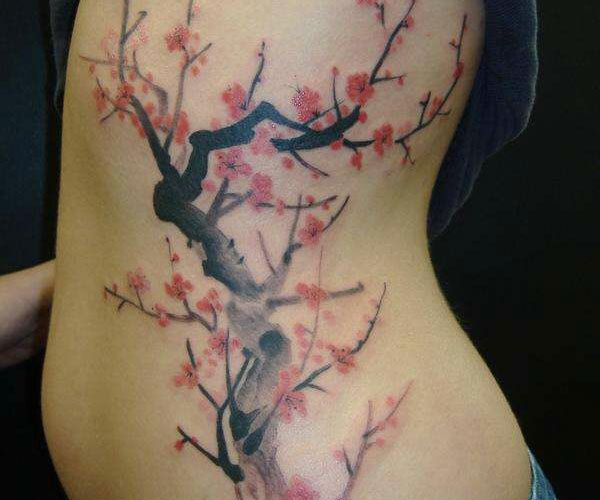 You are only limited by your imagination really as cherry blossoms fit into so many tattoos. Existing only in the present moment has long been the basis of Buddhist beliefs along with the daily reminder that we are here but only for a short time. Much like the cherry blossom. Life is short and sweet. For those practicing Buddhism, flowers can also represent wisdom. Once blossoms begin to open and unfold the beauty of the flower is revealed. If you’ve gained a greater sense of self or have experienced a path to enlightenment, a cherry blossom tattoo can serve as a daily reminder to reinforce life’s lessons and celebrate the gift of life. Holi is one of the most vibrant and exuberant festivals of India. Traditionally, it used to be celebrated with natural colors and lots of water as a precursor to impending summer. But today, thanks to heavy commercialization, the use of synthetic and harmful colors has increased. The joyous celebrations invariably reach such frenzy that at times skin problems do occur.The after effects of these colors include damage to skin, hair, eyes and overall health. Your skin, tattoo and hair will thank you for taking a few sensible precautions at this festive time. Nothing can be better if you can manage to get natural colours to play with on Holi, but it is hardly possible. It becomes Imperative to protect your skin from the harmful chemicals, so that they do not cause any harm. These skin care tips will surely help you to protect your tattoo. Wear clothes that can cover maximum part of tattoo on your body. A waterproof tights beneath your clothes would protect your tattoo from harmful effects of chemical present in the colours. Apply oil or moisturizer all over on your tattoo and allow it to be absorbed by the body for 15 minutes. Prefer red or pink colours for playing Holi, because they can be easily removed as compared to colours like yellow, green, orange, or dark purple, as they have comparatively harmful chemicals in them. It is better to use organic colours to avoid any harm to your tattoo or your skin. Tips for skin care when removing colour. For removing colour above the tattoo, a mild moisturizer soap with lukewarm water works best. Avoid strong soaps, petrol and kerosene for removing colours because the can affect your tattoo and cause skin irritation. Apply moisturizer on the body immediately after taking bath as the skin gets dehydrated and dull after washing off the colour. Avoid rubbing your skin with a hard and rough brush as it can adversely affect your tattoo and can cause rashes. To lighten the colour on your skin, rubbing lemon wedges followed be a mixture of wheat flour and oil is a good option. For getting rid of traces of colour left, on your tattoo, make a paste of gram flour with milk and apply it on your skin. Follow these tips and keep your tattoo and skin safe. White ink tattoos are a great example of how body art is becoming more unique. These interesting tats are much different than your traditional tattoo. Knowing the differences with this type of tat and considering possible designs can help you decide if it’s right for you. 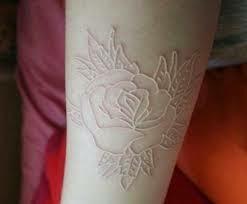 White ink tattoos do not follow the usual tattoo process of stenciling and outlining in black. Instead, the tattoo itself is completely done with white ink, leaving a ghostly image that looks quite different from a traditional tattoo. These tattoos can look like brands (or scarification), or they can appear to be very subtle. This can be a good alternative for someone who wants a tattoo but can’t have obvious body art in their work environment. The white ink used for tattoos is not the same ink you might have seen used for mixing shades in a color tat. Instead, it is a thicker, high quality white ink that is specially made to stand out on its own. A stencil can be used with a white ink tat, or the tattoo can be done freehand. If a stencil is used, the artist must be careful to make sure the ink from the stencil does not mix with the white ink being used – this can dull the brightness of the ink. 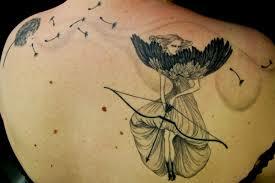 Also, white tattoos can require several passes over the area to make sure the white ink sinks fully into the skin. White is not as likely to be absorbed by skin as black or colored inks. White tattoos are usually applied to the body using white ink alone. Since white ink might blend very well with other inks under the skin surface, it is not good to apply it very close to the existing colored tattoos. 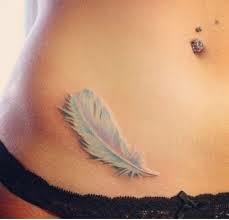 White tattoo ink tends to show well on a fair skin. White ink might appear more translucent rather than opaque on skin that is darker, and it might look blemished or spotty on pale skin. 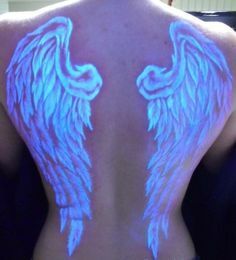 White ink tattoos and ultraviolet or UV lights can create one of the coolest tattoo designs available. If you spend a lot of time under black lights in clubs or at raves, you can be sure that this will cause many heads to turn. 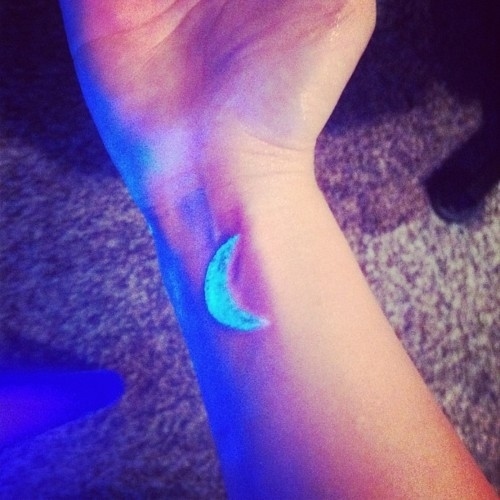 The combination of the UV light and the white ink causes the tattoo to glow very brightly. Many people get white ink tattoos for its unique and subtle appearance on pale skin. While this is true, a UV light can show all of the intricacies of the tattoo design. 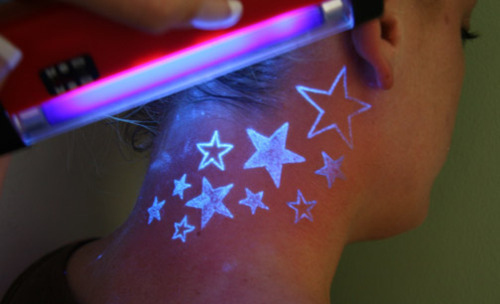 To see how a white ink tattoo will look under UV lights, check out the gallery below. 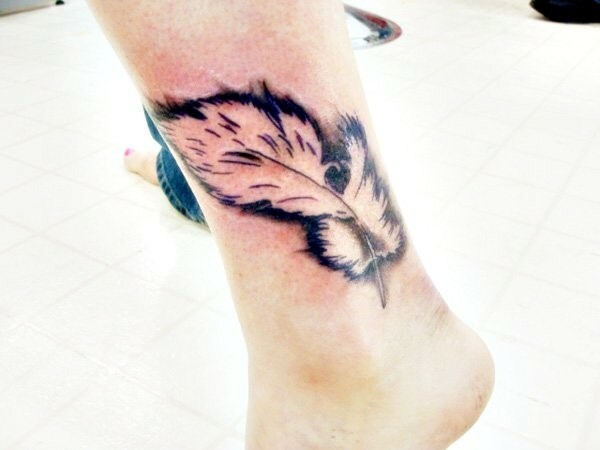 As with any other tattoo, ask your tattoo artist for past works of white ink tattoos. This will ensure that your artist is qualified to perform the work and the finished product will turn out well. Furthermore, this type of tattoo tends to fade quickly and discussing your options will be very helpful in the long run. 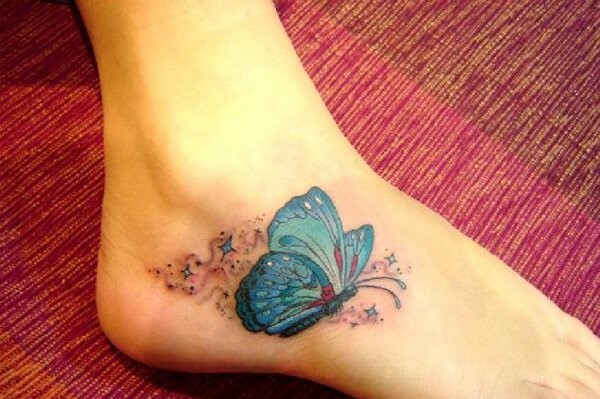 For women, ankle tattoos are a great choice for several reasons. From a visual perspective, ink work wrapping around the female ankle is attention-grabbing without screaming tacky whether wearing sandals or Stilettos. 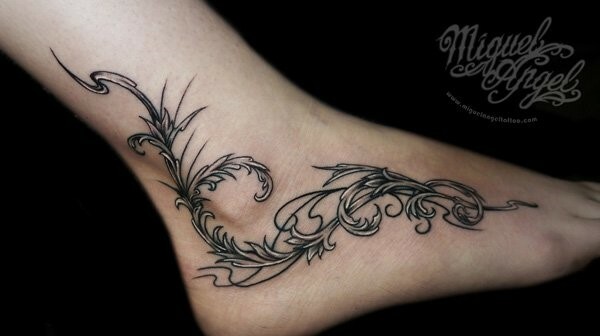 Ankle tattoos are fun and flirty when chosen to be exposed by diverting focus from the ankles to the legs. 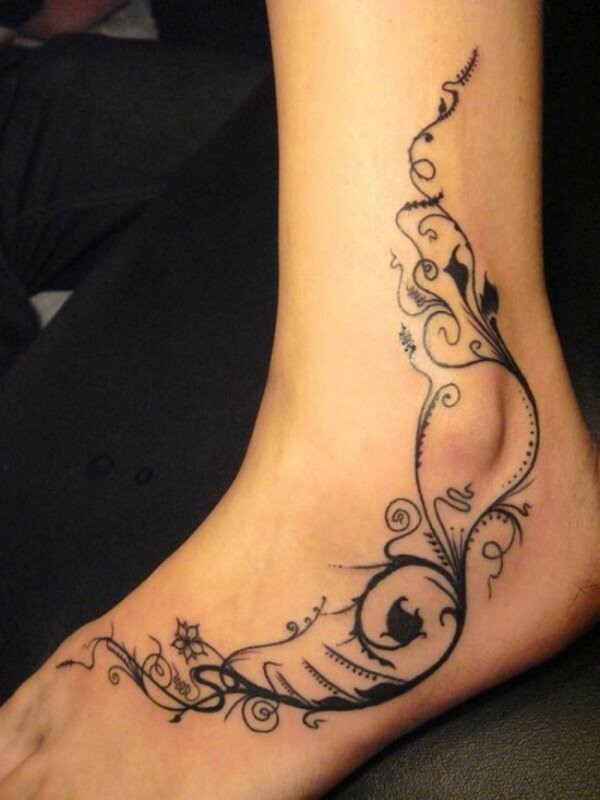 Perhaps one of the greatest advantages of ankle tattoos is the ability to easily conceal the body art with a pair of socks and shoes. 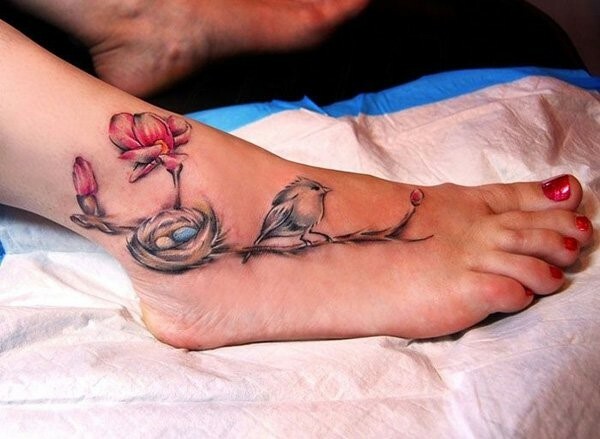 Also, because of their smaller size compared to other body art designs, ankle tattoos are relatively inexpensive. 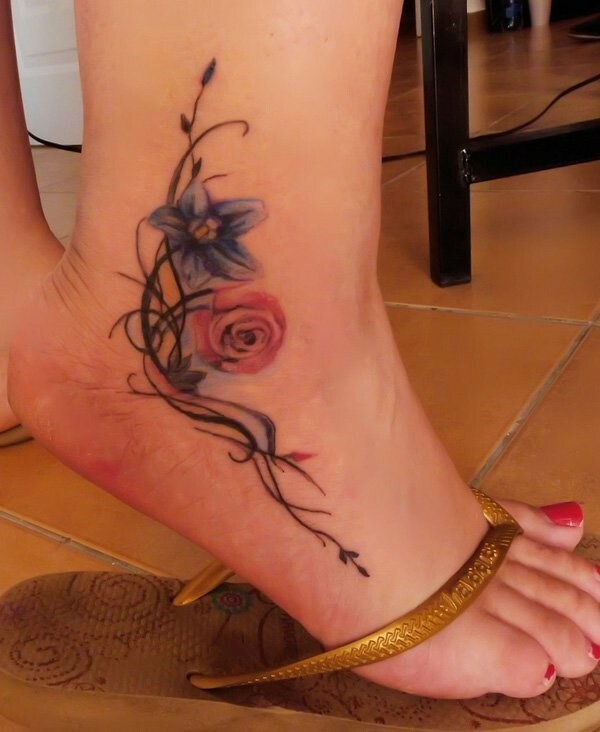 The inner ankle region tends to be the optimal surface for simple designs such as a small flower or heart. 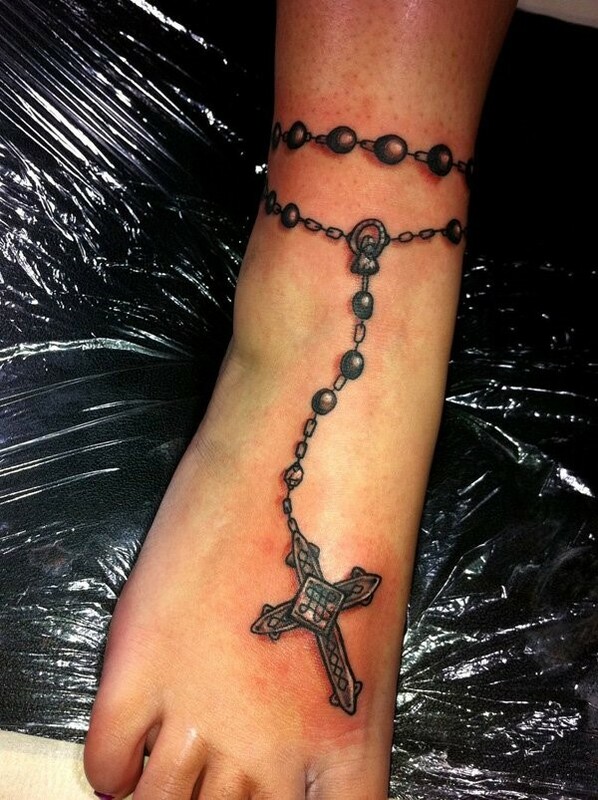 The front areas of the female ankle are usually best suited for cascading designs diverting attention to the legs; while the back of the ankles are typically reserved for women wanting to display a more dramatic design such as a rosary tattoo that wraps around the entire ankle. 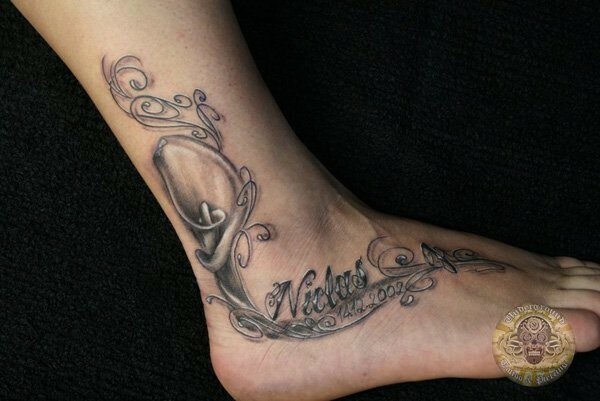 While ankle tattoos are common among women, it’s not unusual for men to show off ankle tattoos as well. 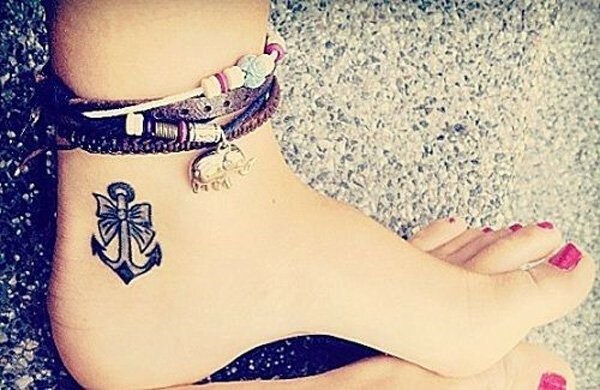 Anchor tattoo on ankle is symbolic of stability, safety and hope. TO INK OR NOT TO INK ? Can I accept that there will be some level of pain involved? If you feel woozy or pass out while getting blood work done at the doctor’s office, getting tattooed may be very well be a challenging for you.For some, Even the thought of pain or representations of it – such as seeing blood – verges on unbearable. While the pain associated with each tattoo is different, and everyone experiences pain differently, there is always some level of discomfort. After all, your skin is being punctured thousands of times by little needles. Even if you are okay with the needles and blood, you still need to consider that you may be sitting in a very uncomfortable position for an extended amount of time. Am I comfortable knowing a tattoo will become a permanent part of my body? A healthy body can heal most wounds. This is a good thing because a tattoo is essentially “wounding” the skin and applying ink into your skin’s second layer. Typically anything that penetrates the skin at that level is broken up and flushed out of the body through the bloodstream. However, since the molecules of the ink are too a big for the body to discharge – and a healthy body recognizes that the ink is not poisonous or harmful – it allows to ink to stay here…. Forever. Most people know intellectually that a tattoo is permanent; however an emotional level of personal comfort with the fact is needed if you are planning to get tattooed. Do I accept that, even under ideal circumstances, there may be health risks involved? In a reputable tattoo shop, individuals can be tattooed with little health risk. Generally the greatest risk occurs after leaving the tattoo shop; specifically through the improper healing and care of new tattoos.it is also a sad fact that not all tattooists are reputable. Some adhere to local health regulations (if any exist at all), while others do not. Enforcement of regulations through official inspections (again, if they actually occur) also cannot be guaranteed. Blood diseases such as HIV or hepatitis can be indeed be transferred through application of a tattoo.However,it is worth nothing that there has not been a verified case of HIV transmission occurring as a result of a tattoo application according to the center for disease control. If you have special health considerations such as diabetics, hemophilia, epilepsy or immunity deficiency problem, it is recommended that you talk with your health care provider prior to being tattooed.You also need to notify your tattooist of any conditions which may complicate tattoo application and/or healing. Am I aware of my own reason for wanting a tattoo? People have various reasons for wanting a tattoo. It can be anything from identity expression to shock factor to memorializing a person or life event. Be honest with yourself about why you want a tattoo and make sure you are comfortable with that reason. While some people may love tattoo, others may not. Can I accept potential tattoo criticism as a part of my life? Not everyone likes tattoos. Frankly some people despite them. They are appalled that people would “deface” their bodies in such a manner, and they will let your know their opinions. You may be labeled and stereotyped whether you like it or not. Also, while there are those out there who love tattoo in general, they simply may not like your tattoo. Sometimes you have to have thick skin to wear your tattoo with pride. Are there alternatives to a tattoo that would better satisfy my desire to get one? If you are not sure you are ready for an actual tattoo, there are other options. 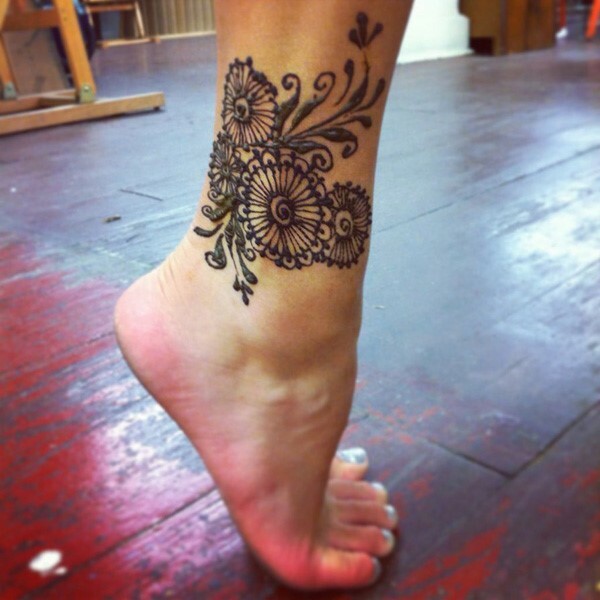 One stellar recommendations is henna art, widely used in India. Ink or dye made from the henna plant can be applied to the skin to act as a temporary tattoo by essentially “staining” the skin. Henna art can last as long as three weeks on your skin. Other options include adult temporary tattoos, painted or airbrushed tattoos, or faux tattoo clothing that stimulates tattoos on the skin. Consider these if your want options if you want to “try before you buy”. Do I understand that my tattoo will change in appearance over time? Tattoos are going to change in appearance over time. Skin reproduces itself over and over, and as the body slowly breaks down some of the pigment, the color will lighten and may eventually fade away completely. The only exception is black. Black pigment is rarely discharged by the body, but it will appear to the lighten as it spreads in the skin. 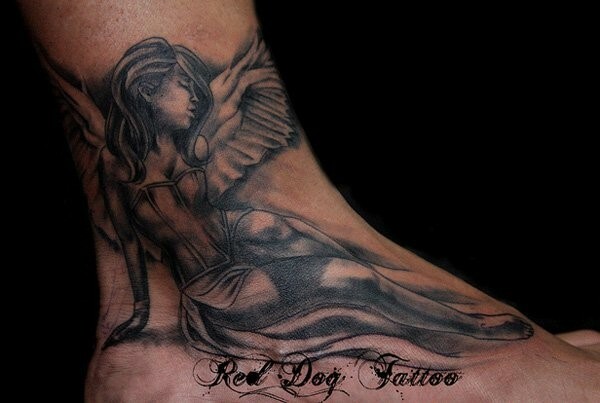 It is possible to get the tattoo retouched or covered, with results comparable to the quality of your original tattoo. Am I willing to educate myself and do the required research needed for the best tattoo experience? Like any type of learning process, proper tattoo education can take some time and effort. And as you may have already discovered, there is a lot of misinformation floating around about tattoos. While this blog will teach you just about everything you will want ( and need) to know before going under the needle, additional time and energy will be required on your part when it comes to design and tattooist selection. Am I willing to take full responsibility for the final outcome of my tattoo and for my tattoo experience? Getting a tattoo is a team sport. At the very least involving you and your tattooist. However, you are the one calling the shots, and the ultimate success of the tattoo experience is up to you and you alone. Yes, the tattoo is being applied by someone else, but you are the one selecting the tattooist to do the work. This is why it is so important for you to take time you need to educate yourself and to make the proper decision about design, placement, tattooist and aftercare. Does the decision to get tattooed feel like my own, or are there other external influences that might be pressuring me? Friends may pressure you to get one. Family may disown your if you have one. Regardless of external pressure you should only get a tattoo if you want one.it sounds clichéd but a tattoo can be one of the most personal decisions can anyone could ever make. Embrace that idea and yourself as you decide whether to ink or not to ink. 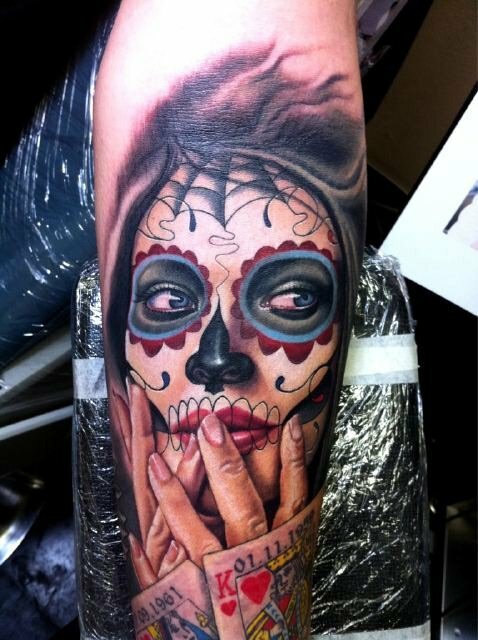 The sugar skull is not a very common tattoo, but the sugar skull tattoo meaning is quite intense. Tattoos of sugar skulls can be designed for the individual and contain decorative symbols that have meaning for the tattoo owner. Sugar skulls were used in Mexico to commemorate a departed loved one. A skull would be made from sugar and candy and the deceased person’s name would be written on the skull. The skulls are decorated with bright colors and intricate designs to celebrate the return of that person’s spirit to the world. The decorations used on sugar skulls are also used in sugar skull tattoo designs, although a person can choose which patterns they would like to adorn the Mexican skull tattoos with. 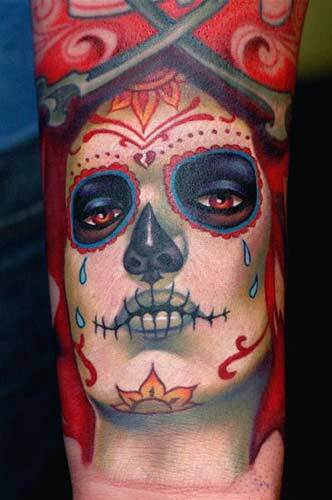 Sugar skull tattoos are generally quite large because they contain a lot of detail and color that is not clear in a smaller moderate sized tattoo. If you have just one sugar skull, you can have whatever size you like, but if you have more than one it generally represents the ages of the people whom you are commemorating. The smaller skulls usually represent those of children while the larger skulls are those of adults. There are many meanings behind the sugar skull tattoo. If you would like to remember someone special in your life, you can honor their memory with a sugar skull tattoo. If the skull represents a specific person, their name must be placed on the forehead portion of the tattoo. The rest of the skull must be completely decorated and there should not be writing anywhere else except on the forehead. The sugar skull tattoo meaning can be death, remembrance, return or a symbol of spirituality. The most traditional flower that is often seen together with a sugar skull is a marigold. Marigolds are important in Mexican culture in that they commemorate and honor the dead. Any type of flower is acceptable with the sugar skull, but marigolds are the most common because they are traditional. 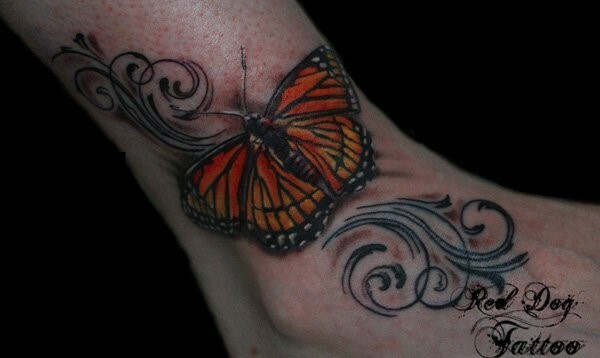 The vibrant orange and yellow colors can punctuate the tattoo and make it stand out more. The art of tattoo is one such thing that people of all community, religions regardless of wealth or social standards have in common. The tattoo culture have now changed from what it was and has become an upcoming trend in the capital in the last few years. Mehndi is an inseparable part of Indian culture. Due to its immense popularity and its constant mixture with different cultures, we are witnessing different types of mehndi. But Mehndi is not only for the hands but it is also used to do temporary tattoos all over the world. Actually Mehndi is a type of natural dye and unlike normal tattoo ink, it does not hurt the skin and cause pain. It is totally free of any painful processes. It’s a well-known fact that cartoons aren’t just for kids.it is an upcoming fashion trend for tattoos. 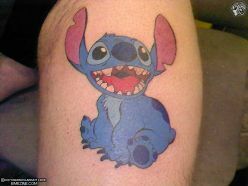 Cartoon television shows are popular choices as well when it comes to tattoo ideas. Nickelodeon’s “SpongeBob Square pants”, “Power puff Girl” or the Fox channel’s “The Simpsons” and “Family Guy” have bright, humorous or empowering characters that translate great as tattoos. Cartoons evoke nostalgic memories of childhood as well as teach important lessons. No matter how old you get, there is something about the innocence of cartoons and the characters they portray that will always ring true. Like many other flower tattoos, dandelion tattoos are getting more and more popular. A dandelion is a wild plant which has yellow flowers with lots of thin petals. When you blow the petals, all the seeds drop off, you dream wonder goes with the seeds. Dandelion tattoo reminds us of the innocent life during our childhood.